When I joined Junior Achievement South Africa in 2006 it was actually by chance. The truth is I was not supposed to join the programme as at that time JASA did not work at my school. 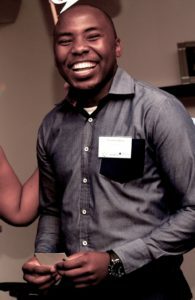 I had a friend Sibusiso Dube who had in the previous year been part of the programme. He was selected to be part of the JASA Youth Council and I really envied the opportunity that he got, so much that when he made it onto the Youth Council, I asked him to help me be part of the initiative. I finally made it onto the 2006 Mini Enterprise Programme sponsored by Danfoss; I was in grade 11 at Wendywood High School. I wanted to prove myself so much that I was 100% involved, I was dedicated and didn’t miss a single meeting and that ensured my success. I was awarded best sales person for the programme selling bath foam packs for my mini-company: Exquisite gifts. I sold not only the stock I had but some of my teammates’ products as well, ensuring we made a great profit. The Mini Enterprise Programme was held at Liberty Community School and the facilitator, Katlego Moselekgomu, was very helpful, knowledgeable and insightful. 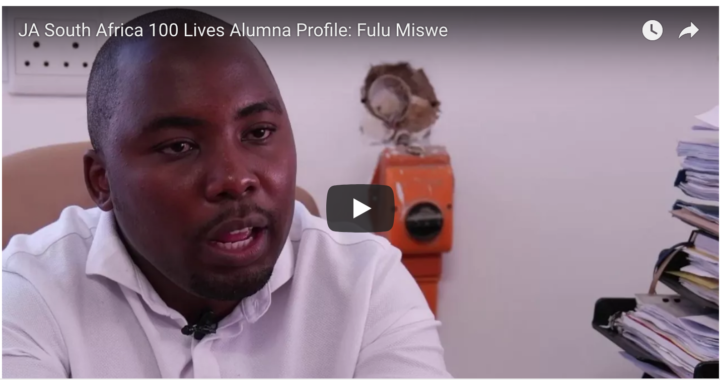 I was not a business-minded person at all but having participated in the programme I got the opportunity to operate a business in an incubator-type of environment, which ensured that I could make mistakes and learn. I am where I am right now because of the drive I developed during my JASA programme. Currently I am the owner of a fleet of taxis that operate in the township of Alexandra. I was the youngest person to ever join the association as an owner at the age of 21. Since joining I have not looked back and while I expand my business I’m also spreading my investments. I own property that I rent out in different areas of Alexandra and Riverpark. Apart from the business elements, I met one of my best friends during my JASA programme; we have been in contact since our Youth Council days. Maggie Kaniki plays an important role in my life. She’s fun and encouraging. My ambition, drive, dedication and passion stem from the great organisation that is JASA. Since the programme I have been unleashed and I pounce on all opportunities that I see. I learned a lot but equally the drive I have as an individual determines a lot. I thank God for the opportunity! The value of JASA’s programmes is far more than entrepreneurial skills it teaches. You learn many life lessons too.